Our endorsements speak to the quality of our programs. Our schools and online programs are nationally accredited, meeting high standards in culinary education. Auguste Escoffier School of Culinary Arts in Austin, Texas is nationally accredited by the Council on Occupational Education (COE), is approved and regulated by the Texas Workforce Commission-Career Schools and Colleges, and is authorized as an Associate of Applied Science degree–granting institution through the Texas Higher Education Coordinating Board. Since its founding in 1971, the Council on Occupational Education has been recognized by the U.S. Secretary of Education as a reliable authority on the quality of education offered by the institutions it has accredited. Its current scope of recognition is as a national institutional accrediting agency for the accreditation of non-degree-granting and applied associate degree-granting postsecondary occupational education institutions. The mission of the Council is “assuring quality and integrity in career and technical education. The mission of Career Schools and Colleges (CSC) is to license and regulate private career schools and approve veterans’ education and training thereby ensuring the highest level of quality in program offerings for all students. The provision of consumer protection for students and private school owners is also a primary part of the mission. Our Culinary Arts program is accredited though the American Culinary Federation Educational Foundation (ACFEF), the ACF’s educational arm. ACF, a professional organization for chefs and cooks, was founded in 1929 in New York City. Today, ACF is the largest professional chefs organization in North America. The ACF is the culinary leader in offering educational resources, training, apprenticeship and programmatic accreditation designed to enhance professional growth for all current and future chefs and pastry chefs. In addition, ACF operates the most comprehensive certification program for chefs in the United States. 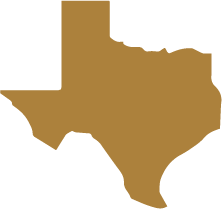 The Texas Higher Education Coordinating Board provides leadership and coordination for the Texas higher education system. Since being created by the Texas Legislature in 1965, the Board has worked to achieve excellence for the college education of Texas students. The Board meets four times a year. Meetings occur in Austin but are usually also broadcast on the Internet. Auguste Escoffier School of Culinary Arts in Boulder, Colorado is nationally accredited by the Accrediting Council for Continuing Education and Training (ACCET) and approved and regulated by the Colorado Department of Higher Education, Division of Private Occupational Schools. Auguste Escoffier School of Culinary Arts (Boulder, CO) has been approved by Colorado to participate in the National Council for State Authorization Reciprocity Agreements (NC-SARA). The mission of ACCET is to inspire and promote quality-oriented continuing education and training. Through the establishment of standards and the assurance of an accreditation process focused on integrity, they seek to identify, evaluate and enhance the delivery of continuing education and training. Through independent peer-review and evaluation, ACCET inspires the continuous refinement of member institutions. Since 1978 ACCET has been officially recognized by the U.S. Department of Education. The Division of Private Occupational Schools is an agency within the Department of Higher Education. The mission of the Division is to implement the directives of the general assembly, to provide standards for and to foster and improve private occupational schools and their educational services, and to protect the citizens of this state against fraudulent or substandard private occupational schools. Auguste Escoffier School of Culinary Arts (Boulder, CO) has been approved by Colorado to participate in the National Council for State Authorization Reciprocity Agreements. NC-SARA is a voluntary, regional approach to state oversight of postsecondary distance education. Our online programs are offered through our Boulder campus. Auguste Escoffier School of Culinary Arts in Boulder, Colorado is nationally accredited by the Accrediting Council for Continuing Education and Training (ACCET) and approved and regulated by the Colorado Department of Higher Education, Division of Private Occupational Schools. Auguste Escoffier School of Culinary Arts (Boulder, CO) has been approved by Colorado to participate in the National Council for State Authorization Reciprocity Agreements (NC-SARA). Auguste Escoffier School of Culinary Arts is a member of the International Association of Culinary Professionals (IACP). 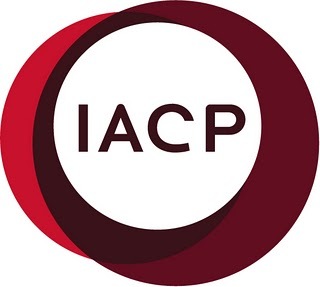 IACP is a worldwide forum for the development and exchange of information, knowledge, and inspiration within the professional food and beverage community. First coming together in 1978 as a small but determined group of cooking school owners and Chef Educators, IACP unknowingly laid a foundation for food culture in America and well beyond. Auguste Escoffier School of Culinary Arts is a recipient of the World Association of Chefs Societies (WACS) Recognition of Quality Culinary Education Award. Founded in 1928 in Paris, France, WACS is a global network of national chef associations from 93 countries, representing over 10 million professional chefs worldwide. As an authority and opinion leader on food, WACS represents a global voice on all issues related to the culinary profession. Auguste Escoffier School of Culinary Arts is a member of the National Restaurant Association (NRA). The NRA is one of the largest foodservice trade associations in the world supporting nearly 500,000 restaurant businesses and working to empower all restaurant owners and operators to achieve more than they thought possible. Chef Educators at Auguste Escoffier School of Culinary Arts are certified through ServSafe, a food safety training and certificate program administered by the National Restaurant Association. The program is accredited by the American National Standards Institute (ANSI)-Conference for Food Protection (CFP). ServSafe training and certification is recognized by more federal, state and local jurisdictions than any other food safety certification. As a graduate, being ServSafe-certified is something that will definitely help you in the job market.